If anyone knows how to tap into sub-cultures and the influential young people who fuel them, it’s Nike. We’ve watched them distil London’s unique street style into a genius 3-minute ad, champion the likes of controversial athlete and activist Colin Kapernick, and now following suit, their latest campaign in the Middle East is a perfect portrayal of the city’s present. 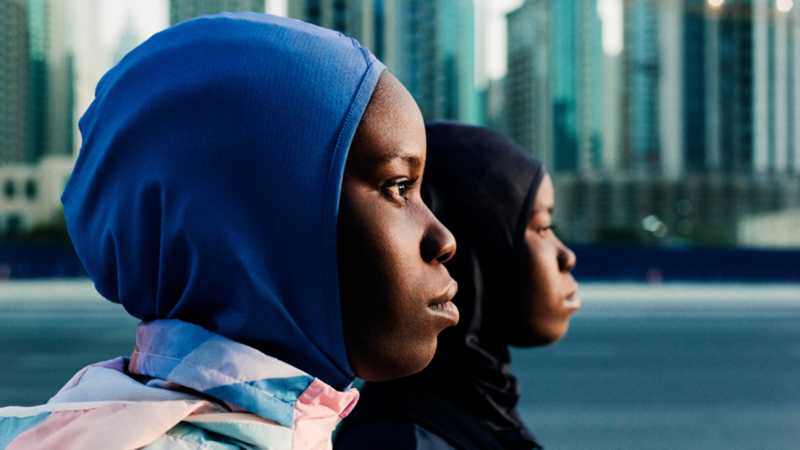 ‘We Play DXB’ calls on some of Dubai’s up-and-coming athletes, ages 16 to 26, who excel in sports ranging from running to football to skateboarding, as a means of painting an accurate picture of the city’s diverse identity. It launched today, November 22, in anticipation of the December opening of Nike Dubai, the largest Nike store in the Middle East. The team they put together for this campaign consists of 12 incredible young athletes: Farah Ahmed, a contortionist; Akira Kyle a talented basketball player and filmmaker; Mariam Alhamad, a Bahraini runner; Keetu Prem, an Indian runner; Nigerian football players Mira and Aisha Zailani; Mo Mansour, a Russian-Egyptian skateboarder; Mustafa Khalaf, a Syrian footballer; Emirati-American twin footballers Noor and Dana Patterson; Thaoban Adesiyan, a basketball star; and Widad Hassan, a runner from Sudan.